And if you’ve just finished watching the Season 11 finale, you’re likely feeling two things: 1) You’re in shock; 2) You have questions. The penultimate episode of Season 11 left fans on a cliffhanger. After you take a second to catch your breath, read on as Carter answers our burning questions. So buckle up buckaroos; thar be spoilers ahead! Holy cow, Chris, where do we start? Chris Carter: I know, there’s lots there to digest. Let’s talk about mythology. This is the fourth time you’ve used the episode title, “My Struggle.” How do these four episodes stand alone to explain the mythology of the series? They really are four quarters of a whole. And I think that maybe threw some people at the beginning of last season, and even at the end of last season. But I think that you see, as you have seen, that they were puzzle pieces, four puzzle pieces to a circle. When you reimagined the reboot of The X-Files, did you intend to tell these four stories as interconnected? How did this become a central theme? I wanted to tell Mulder’s (David Duchovny) story—Mulder’s struggle. I wanted to tell Scully’s (Gillian Anderson) struggle. I wanted to tell the Cigarette Smoking Man’s (William B. Davis) struggle, and I wanted to tell William’s (Miles Robbins) struggle. For me, the four characters who are central to the mythology. The epigram for this episode is “Salvator Mundi,” Latin for “Savior of the World,” and the name of a Leonardo da Vinci painting of Christ. Are you creating the allegory that William’s sacrifice is Christ-like? That’s certainly a suggestion. You could also look at Mulder as the savior of the world. Did he, in vanquishing the Cigarette Smoking Man, prevent him from carrying out his plans? It’s meant to be a puzzle. The last few minutes of the episode are a doozy: the shooting of Mulder—who turns out to not be Mulder but a shapeshifted William—the shooting death of Cigarette Smoking Man by Mulder, Scully and Mulder mourning the death of William, Scully telling Mulder that she’s pregnant with their child, and the cliffhanger that William isn’t dead. Where does this leave the series? Clearly, it leaves Mulder and Scully both in a state of shock about the present and the future. And I think that could probably be said for the fans as well. Hint: there was dancing involved. What does this final moment mean for Scully, as Gillian Anderson has said that Season 11 would be her last? It’ll be Gillian who makes that decision. I can’t make it for her. Certainly, the actors have their own feelings about the characters and doing 218 episodes now. You know, they both have lives that are complex; she lives in London, she’s got two small children. So she makes her own decisions. I certainly don’t make them for her. That said, you know, I think what people, fans of The X-Files have always come to see is that when the series ended the first time, there was a second movie. And then series came back again. There are lots more X-Files stories to be told, whether it be with Gillian or not. Let’s talk about Scully’s revelation that she’s pregnant with Mulder’s baby. Are we to assume that this is the result of their “reunion” earlier in Season 11? Yes. 'Reunion' is a very polite way to say it. It’s the same thing. I mean, Scully is 53-years-old on the series, and as she told Mulder in Episode Three of this season, “that journey’s over.” So this comes as a shocker in every way. But as Scully has experienced a miraculous pregnancy before, it’s got to be, while a shock, a déjà vu. If this is potentially the series finale, why did you give Scully and Mulder a happy ending? You know, you could look at it that way. I see it as not an end but as a new beginning. The episode ends with the revelation that William is still alive. How far in advance were you setting up the reveal by inserting the provenance that William could shape-shift and that he could get shot and not die? The shape-shifting came about as part of working with Jim Wong. But the immortality is something that I always had imagined for William. And that’s set up in this season’s opener, when they say that he’s central to the Cigarette Smoking Man’s larger plans. Also, in the finale when Mr. Y says that William has what everyone wants. Immortality was always in my mind. Are you leaving the door open for another series with William as a shape-shifting, immortal superhero? You know, it’s been suggested. [Laughs] I certainly don’t know how to do it, yet. He’s a 17-year-old kid, so it would be a completely different kind of show. 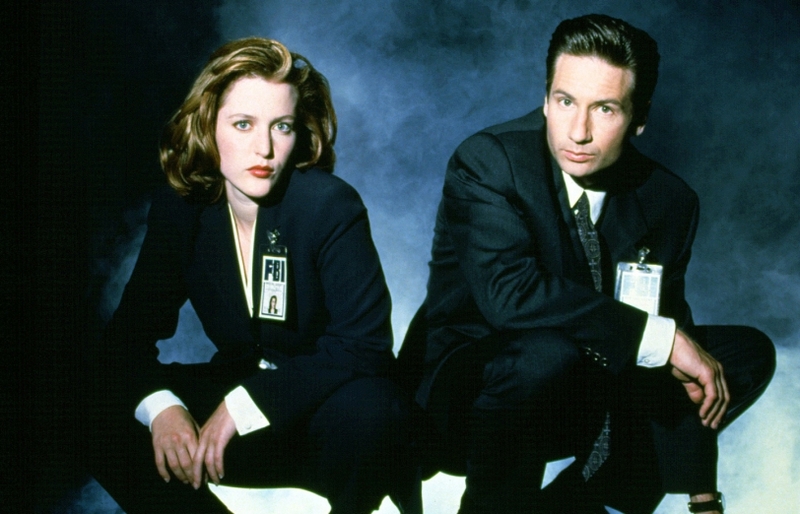 What does the future hold for The X-Files if Fox renews it for a 12th season? All I can really say is that there are lots of good X-Files stories still to be told. There are lots of cases in those drawers in Mulder’s office. And it’s endless, because the show at its heart is a science show, and as far that goes, the truth is always out there, and it’s open to being explored. How that is done and who it is done with is the question. Would you be satisfied if this episode serves as the television series finale? As a person who is never satisfied, I have to say that’s my answer. 1. 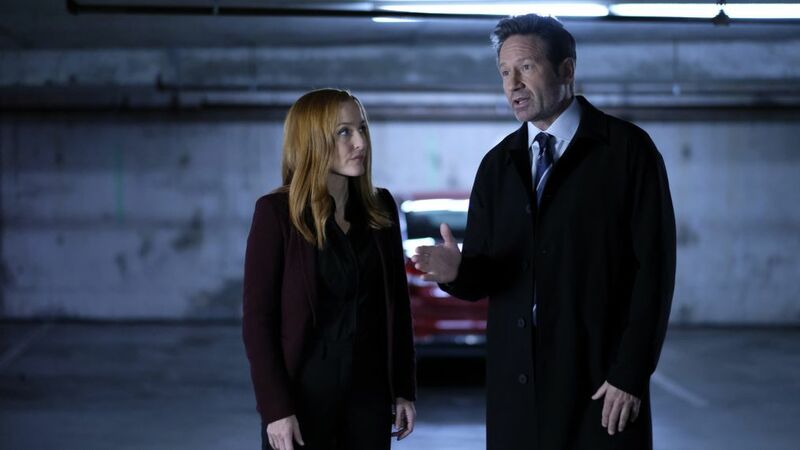 Alert Maury Povich—Scully is pregnant, and this time, Mulder is the father. 2. Don't make William mad or he'll explode you. 3. Parkour is a viable means of escape. 4. Cigarette Smoking Man has no problem with shooting his own son. 5. Mulder totes kills his dad.